Please click the image to see an example of labels. Labels are useful, when you need to print a list of ’business cards’ that are to be handed out. 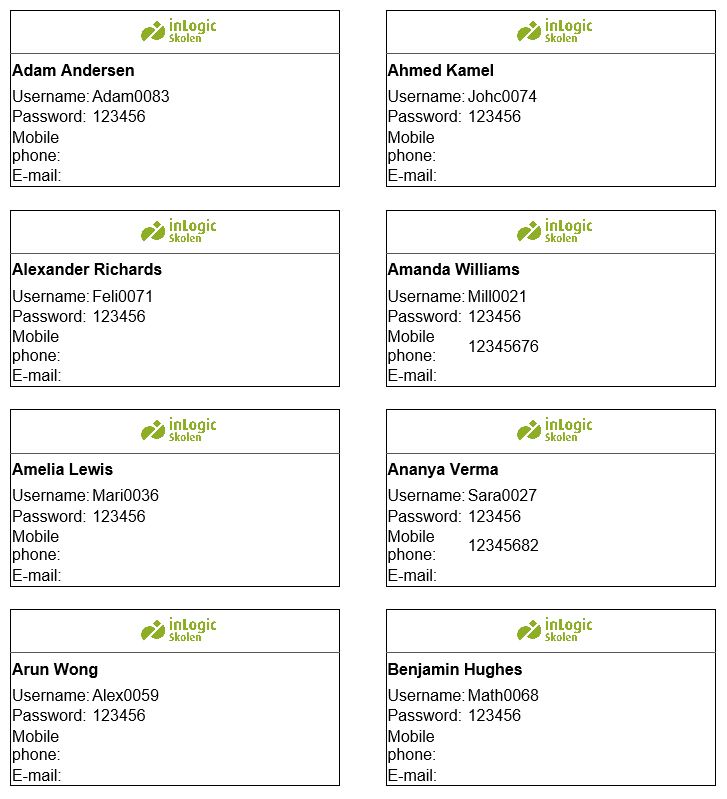 Under Labels, you can enter how many ‘cards’ you want to appear on each page. You do this by entering the number of rows in the configurator, e.g. “”. Please make sure you replace the domain name, logo etc., before printing the labels..